A swag refers to a piece of material that is a single, long piece and does not have a rod pocket. 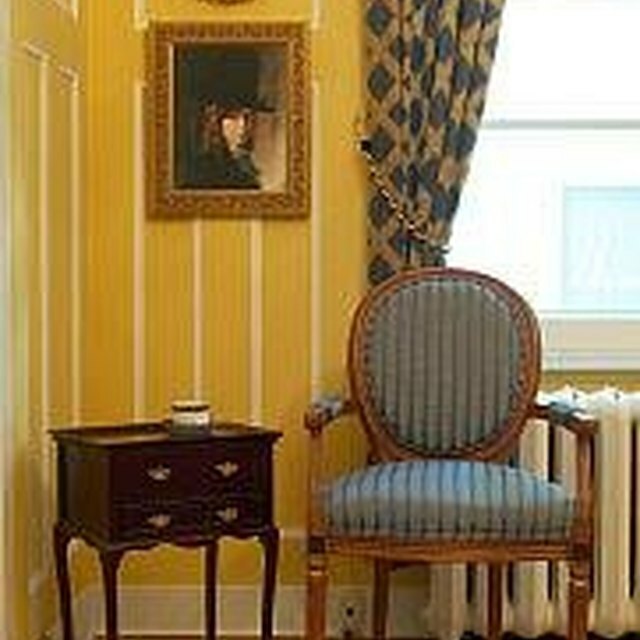 It is meant to be decoratively draped over the top of the rod or used in conjunction with panel drapes as a top piece. Swag curtains can be draped or tied depending on your preference. Several swags can also be draped together to create a multi-colored effect. Iron the swag so that it will hang and fold evenly. Do not iron if the material is deliberately meant to be crinkled and do not use starch in any case as this may affect the material's ability to hang correctly. Create an even swag. For a swag that has an even amount on both sides, drape the material evenly over the top of the rod. Gather up the material at each end of the rod and carefully tuck it behind the back side of the rod to keep the material in place. Keep each side even as you adjust as much "swag" as you want in the front. Arrange the material so that it drapes loosely and evenly. Arrange an uneven swag by following Steps 1 through 3. Then, keep one hanging side of the swag significantly longer than the other side. This style looks particularly good on windows that are side by side. Keep the long sides of the swag on opposite sides of the window in this case. Get a little more creative for a tied swag. You will need a longer and narrower piece of material to work with and it should also be fairly light material so it can be easily tied. Simply tie the swag wherever you want it to be anchored and let the remaining material trail and loop in between the knots. As you tie, maintain enough material on each side for the hanging pieces. Be sure to keep an equal amount if you want your sides to be even. Because they are draped and not anchored, swags are more prone to being pulled down by small children and pets. Take this into consideration when you choose the length of swag you want. What Are the Top Ten Curtain Fabrics?